I know this is not PC related, it is however very common question I get from many of my customers, so i thought i would post a little article on it. Okay lets just start with rebooting the device With the BlackBerry device POWERED ON, remove the battery for a 20 secs , and then reinsert the battery to reboot. 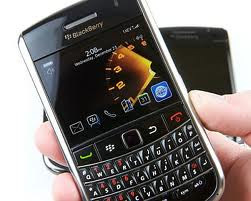 After using your Blackberry for a while you may experience freezing or lagging/slow response on any BlackBerry, the most important practice you can adopt is to be sure to CLOSE applications when you are finished using them. If you just hit the red "end call" key to go back to the home screen the application actually stays open and running in the background. If you do this repeatedly don't close the applications properly, you will have lots of apps open and consequently your memory will get used up pretty quickly. The lack of memory is the biggest reason your BlackBerry slows to a crawl or locks up. Get into the habit of actually using the menu key to close the applications this will at least slow down this memory-clogging process. You still may have to do a battery pull or use the "Quickpull" app once in a while when things get slow. There are other third party applications such as, Whatsapp, BlackBerry Alerts which will also run in the background which you cannot close if you want them to operate). Make certain that the browser is NOT on an active webpage. Close any other applications that do not need to be running (the camera or a game you were playing or Google Maps etc). Holding the "ALT" button and pressing "L G L G" one after another, then press the menu button and scroll down to 'clear log' and select it, then select 'delete'. Clearing the memory log, we can free up 1-2 meg or so of memory space depending on amount of apps. If you do not want your blackberry to create event logs you can select 'options' and untick the boxes or an even easier option is to press the menu button again and select 'Hide all Types'.